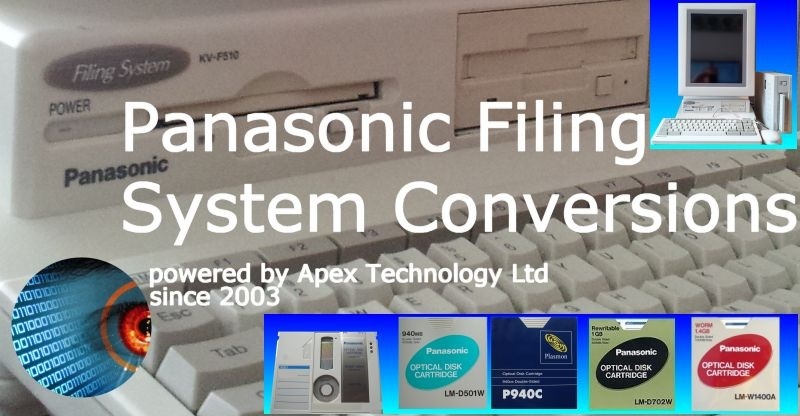 Our friendly team is happy to help convert Panasonic Filing System (Fuji x D-File, Panafile, or PanaCabi) MO Optical Disks/Files to PDF/CD/DVD/TIF/TIFF/HDD. The export can keep the original files, folders and index structures and save as PDF TIFF or TIF for import into modern document management systems. Panasonic KVF510 KV-F510 KV-F510U KV-F510C KV-F510G KVF520 KV-F520 KV-F520U KV-F520K KV-F520C KV-F520U KVF51 KV-F51 KVF51MU KV-F51MU KV-F51MUH KVF50 KV-F50 KV-F50MU KV-F50MUH KV-F510G KV-F510C KV-F520K KV-F521 KV-F521U KV-F501 KV-F511 KV-F511U/G/C KV-F521U/G/C. We can recover data and read disks export files that others find difficult to access. The disks can be 3.5 inch (90mm) Magneto Optical MO disks or the 5.25 inch . The Panasonic LF-7300B was the external Optical Drive for 5.25 inch LM Optical disks. We can even do it on location at your site offices (this often overcomes security restrictions regarding data protection). 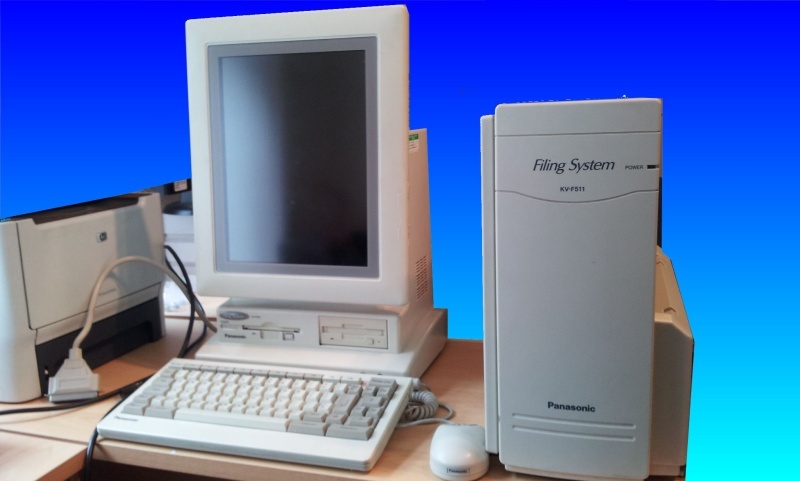 Panasonic Electronic Filing System used Optical Disks to expand its storage capability. The LM-R1500A was a popular choice, along with other disks by Plasmon. Some typical disks numbers are below. Panasonic 128MB 3.5inch 90mm Magneto Optical Disk LM-D300. Maxell MA-M128 3.5inch 128 megabytes. Fuji-Film 3.5 Optical 128MB MO Disks. Panasonic LM-W1400A WORM Optical Disk Cartridge 1.4GB 700MB/side. Plasmon P942 P940C 940MB Optical Disk Cartridge Double Sided 5.25 inch. Plasmon P1400C P1002E and P1500E. Panasonic LM-D300 128MB Magneto Optical Disk 3.5 inch. Panasonic LM-D501W Optical Disk Cartridge 940MB 470MB/side. Panasonic Optical Disk Cartridge LM-D702W 1GB Rewritable. Panasonic LM-R1500A 1.5GB Rewritable Optical Disk Cartridge 750MB/side. Storage Dimensions 940 Megabytes OC-900. Optical Disk Cartridge LM-D500 200MB per side. It used the disks to store scanned documents in a proprietary format with a unique filesystem. We have managed to decode the file system to extract the files into PDF, and TIFF .TIF for use on modern windows computer, without the need for specialised software to view them. The files can be stored with their original file structure (names / folders etc). The machine is used for several purposes, eg. Document Image Processing DIP Station, Microfiche viewer, Electronic Filing Cabinet, Scanner Workstation, Scanned document storage, Document Management System (EDMS). Legal, Medical Records, Accounting departments and Educational institutions have adopted the KV-F51 to move toward a "paperless office." and store rare or old works, such as in a library. Just give us a call or email to discuss your particular requirements. Other similar systems at around the same time as this were Toshiba: Tosfile, FilingStage, eFilingMeister, Personal Filing Fuji Xerox: ArcWizShare, EDMICS (required consultation) Ricoh: Rifile, Ridoc Hitachi: Hitfile Fujitsu: EFS Fuji Film: D-FILE Panasonic: Panafile, Panacabi NEC: Nefile. The system used a small 3.5 inch magneto-optical drive, along with external SCSI 5.25 inch drive to store the data. It used a Motorola 68030 processor (so Big-Endian number storage for the geek's amongst us!) with an 8.5 x 11-in rotatable screen (alow portrait viewing!) , a 3.5-in floppy drive, a scanner printer unit and SCSI-2 and RS232C ports. It has its own proprietary Filesystem with tags such as KME-EFS-MEDIA, KME-EFS-PAGE-HEADER etc in the raw data. The PanaCabi F51 compact electronic filing system has a scanner and was developed by Kyushu and Fuji (Fujix D-file EX name). Some typical disk conversions we receive. Data was stored on 90mm 128MB MO disks - mainly Maxell MA-M128 and Sony M.O. Magneto Optical disk. These are used with a Panasonic electronic filing system model KV-F510. The system still works but is now very old. All data is intact on the disks. Please can you transfer the data to PC compatible media - eg DVD, and what advise the format (TIFF PDF JPG) the scanned documents would be in once transferred. I have approximately 100 disks. I have 3 disks of type Panasonic LM-R1500A, containing medical data. The disks should be fine, although there is no way for me to test it as I cannot find any drives capable of reading these disks. Are you able to get files saved off a 3.5 inch floppy that were written and saved using some sort of Panasonic word processor? File transfer into any modern media format (PDF preferred, image format also acceptable) from Panasonic Optical Disk Cartridge LM-R1500A. Convert images from 28 Panasonic Optical disks. These were made with the Panofile Panasonic optical disk system about 1995. Recover data from Panasonic LM-D501W disks, I do not know the operating system and software used to save data, the disks were written in 1999. Data from the optical disk LM-D501W to be put onto the DVD. The disk uses a proprietary Panasonic file system. Panasonic Electronic Filing System - KV-F510U just like the KV-F520 - I need to extract the files off the optical disks and get them in a more usable format. Panasonic LM-D501W disks - I have about 10 I cannot read the disks since they are not DOS but a rare proprietary file system introduced by Panasonic. I have several Panasonic Optical Disk Cartridges to transfer the files to DVD or Hard Drive. Image extraction from a KV-F510 Panasonic scanning station. Data is stored on Optical Discs and I have reader. I cannot print from the reader and I have no back up of these disks. Is it possible to transfer the data from these files into a more managable system? We have a Document Image Processing DIP Data retrieving information from a Panasonic Optical Disk Cartridrige LM-R1500A 1.5GB rewritable, 750MB per side. 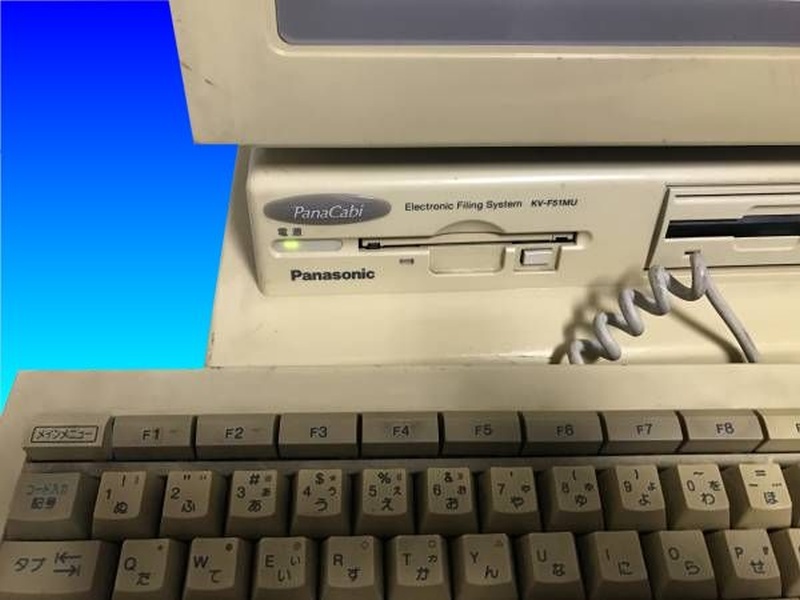 we no longer have any hardware capable of reading the discs from the Panasonic DIP stations, we checked with other departments, as they also used the system, but it appears that they also no longer have the hardware. I have x6 Panasonic optical LMR1500A 1.5GB disks that have data on I need to recover to a more modern medium. Transfer images from Panasonic KV-F51(KV-F510, KV-F501, KV-F510U) series Electronic Filing System. We have this system from around 1990s which stores images on Optical Disks - we need to transfer the images to a more modern system. They can only be viewed on this particular old Panasonic system so if it breaks we loose all the data. Panasonic Filing System Optical Disks Conversion, Transfer, and Data Recovery problems that we recover data from are listed below. panasonic,panacabi,electronic filing system,optical disks,panofile,fuji x d-file,kvf510,kv-f510,kv-f520,kvf520,kv-f51,kv-f51mu,kvf51mu,plasmon. Panasonic KVF510 KVF520 KVF51MU Panacabi Electronic Filing System Optical Disks Convert Transfer Files Images Recover Data Extract Copy Export PDF Fuji D-File.